When Donald Bliss was growing up, he was constantly drawing and doodling. His love of science led him to study biology as a step toward medical school until a poster changed his life. The poster addressed the question: What can you do with a biology degree? One of the answers spoke to Bliss: medical illustration. The idea that this was a profession never occurred to him. Indeed there are only a few thousand professional medical illustrators in the country. Bliss set out for the career center at Missouri State University and went through boxes of dusty vocation guides until he stumbled upon a pamphlet on the field and places to study. Upon graduation, Bliss moved to Baltimore to start his master’s degree in medical illustration at Johns Hopkins University. For two years, he pursued his MA at Hopkins, often studying alongside medical students on the career path he had once thought would be his. He worked at Johns Hopkins University School of Medicine before accepting a job doing medical animation at a startup in the Midwest, back in the 1990s when interactive educational CDs were popular. But one afternoon at work, he learned the business had “collapsed.” He needed another job. In 2000, he accepted a position as a medical illustrator at NIH. Bliss began in the NIH Medical Arts Branch of the Office of Research Services. At NIH Medical Arts, Bliss says, “We serviced the entire NIH community.” He loved the cutting-edge science and contributing to research. On more than one occasion, Bliss was even named as a co-author on papers. The work was fast-paced and exciting. And yet five years into the job, NLM wooed him away with a position in the Audiovisual Program Development Branch that would allow him to work on longer-term research projects. 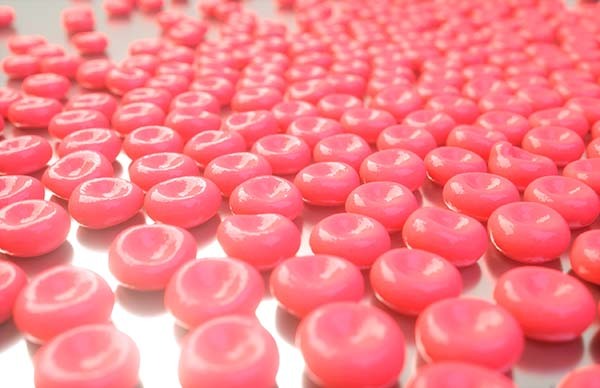 Red blood cells from an animation about a project to automatically detect the malaria parasite in blood films. Even when he’s not asked. Recently a scientist from the Communications Engineering Branch within NLM’s Lister Hill Center came down to the basement to ask about borrowing a tripod to make an instructional video. By the time Bliss was finished talking with him, the video moved from being strictly instructional to inspirational. 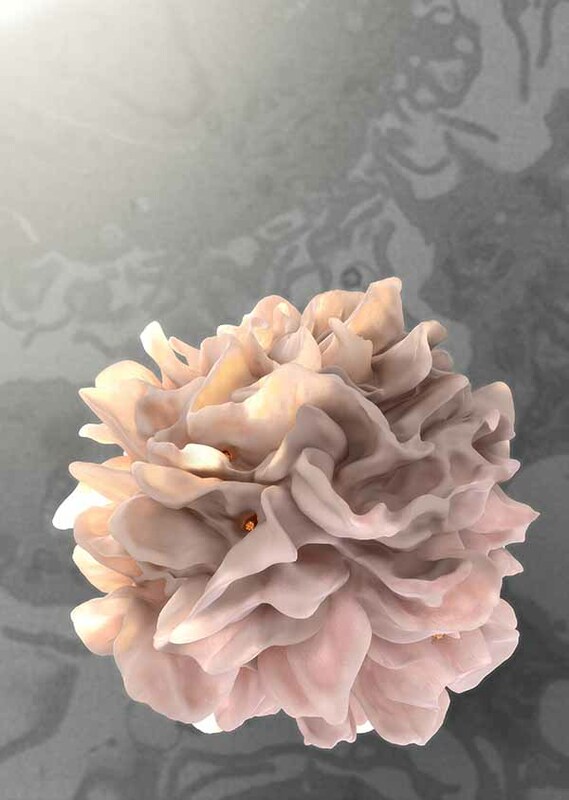 Bliss’ model of a dendritic cell drew a lot of attention at NIH. “Most textbook models of dendritic cells show a cell body with finger-like appendages,” said Bliss. But his model looks more like a rose. NLM staff voted for his floral-like image to represent NLM in a science and art contest for the federal Combined Federal Campaign to raise money for charities. But what if Bliss hadn’t seen that poster about options for biology majors? What would he be doing? August 3, 2017 in People.